Voted Best Of the Boat in Steamboat Springs Colorado, Buffalo Commons is the premier band in Northwest Colorado for events, parties, festivals, weddings and corporate functions. Focused around Tyree Woods's Soulful yet powerful, and Denton Turner's booming bass lines, with beautiful melodies and solos streaming from banjo, mandolin and fiddle to round out the Buffalo Commons sound. The Band is known for captivating original music however Buffalo Commons can cover any genre Bill Withers, Tom Petty, Greensky Bluegrass, Van Morrison, Bob Seger, to Usher and Cee Lo Green to fit any style of party. 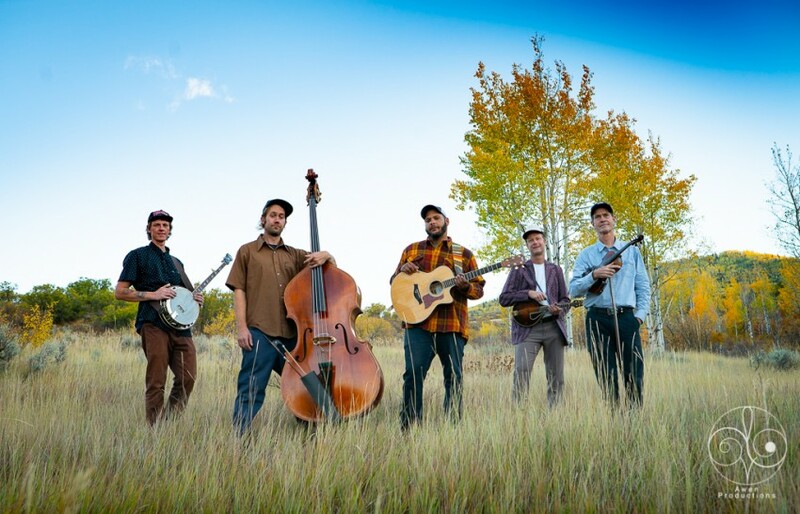 Buffalo Commons is a collaboration of accomplished musicians from Steamboat Springs, CO who enjoy floating rivers, and surfing powder together as much as they do playing and writing songs together. The bond they share off stage instantly is apparent in the music, and is felt by everyone through the energy of their live performances. One can't help but be captivated by singer/songwriter and guitarist Ty Woods' soulful yet powerful voice. Band Members Eric Baker on mandolin, Randy Kelly on fiddle, Gabe Riding on Banjo, and Denton Turner on upright bass provide a full body of sound to match the emotion and intensity of Ty's vocals. Focused on writing original music with well thought out compositions and arrangements, the band works hard to stand out as a unique sound in acoustic music. Buffalo Commons' unique songs and captivating energy on stage will pull at ones heartstrings in the best way and may make you want to laugh, dance, cry, and rejoice all in one show.